Fairtrade. Organic. Natural, fair & delicious. 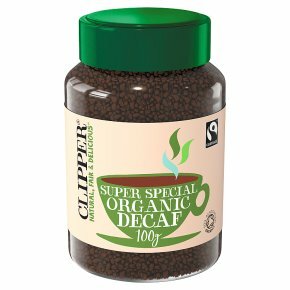 Rich arabica decaf.A toasty and intense blend with a wonderfully smooth, clean finish and rich aroma. How to make a perfect cup of coffee This is how we do it: Always use fresh water. Boil and leave to cool for a minute before pouring over the coffee. The rest is up to you.